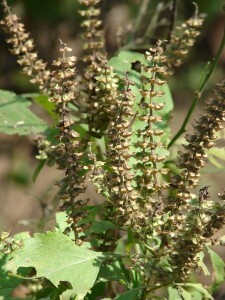 Ocimum Gratissimum is an herb used in making anti-bacterial medicines. Belonging to Lamiaceae family and Ocimum genus this herb mainly grows in India, Africa and parts of South-East Asia. It is a home grown plant and is also commercially cultivated. 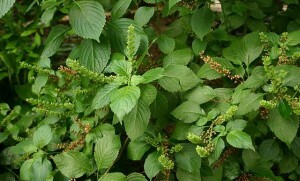 It is known as Vana Tulsi in India. 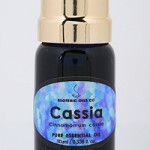 The plant bears essential oil in its leaves and stems which is extracted to make several medicinal substitutes. 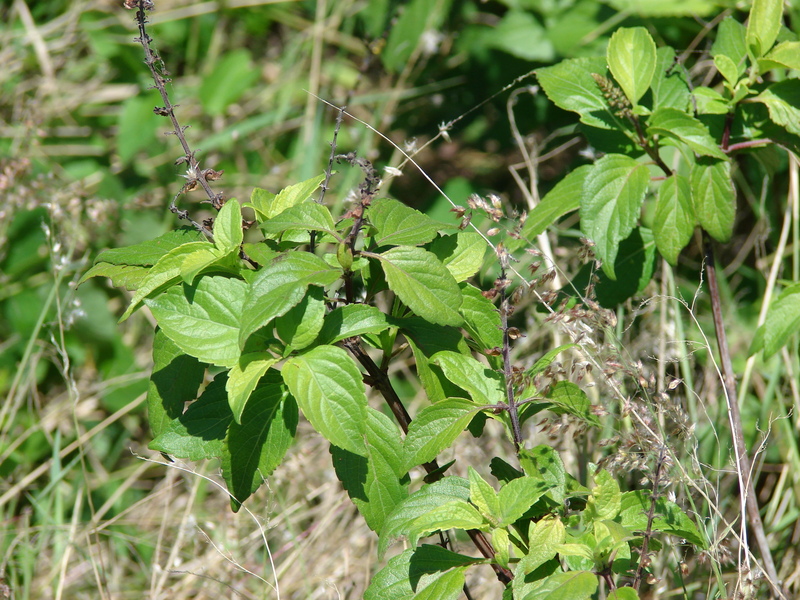 This herb is commonly known by names such as African Basil, Clove Basil and Wild Basil in Hawaii. 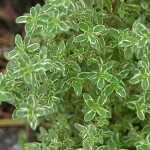 Some of its other common names are Menthe gabonaise, Basilic sauvage and Basilic in French. It is called tree basil and shrubby basil in English, Gros baume, Tolsi and Baumier in French-Reunion. These perennial plants are woody at the base. Height: The plant are found to grow somewhere around 1-3 metres in height. Stem: Stems of these plants are dark brown in color bearing leaves from top to bottom. Leaves: The leaves are narrow and oval in shape growing 5-13 cm in length and have 3-9 cm width. The leaves are green in color. 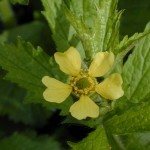 Flowers: The flowers are pale yellow in color. Smell: The plants give out a sweet scent of camphor. The plant grows widely in tropical Africa. 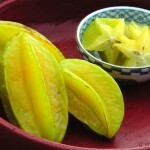 It is also grown in South-East Asia, largely in India and Hawaii. The native areas of the plant are mostly found to be regions that are 1500 m above sea level. The plant also grows well in lake shores, coastal bush lands and in sub-montane regions. 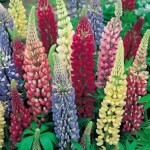 These plants are aromatic perennial herbs which go through several variations in cultivation to attain improved growth. Soil: This plant requires well drained soil like the delta regions. Sunlight: It grows well in full exposure of sun. Climate: The summer temperatures are good for the plants. They grow in sea level lands as well as in altitudes of 1500 m above sea level. These herbs grow mostly on stem cuttings. 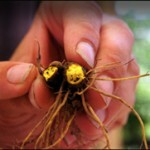 Seedlings can be transplanted between February to March or from May to August. In stem cutting procedure it usually takes 28 days for the plant to form roots. This tree produces for 5 to 10 years. Right time to harvest is when 3 branches appear on each plant or 75% of all branches start to flower. The leaves should be harvested at 2 inches and when essential oils concentrate the most. Care must be taken while harvesting as the oils are volatile and so morning time is best. It is helpful in preventing convulsions and seizures. 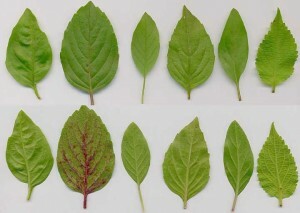 Certain hybrids of this plant were studied and their nutritional values were assessed. 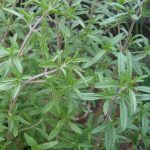 The leaves and roots of the herb have several medicinal, culinary and other applications that are greatly beneficial for humans. The strong aroma of the leaves is used in flavouring soups. It is used as a flavour in spicing meat products. Components of this herb are used in producing mosquito/insect repellents. Antiseptics are produced from the herb that treats well in dressing wounds. 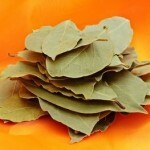 Crushed leaves are extracted to form remedies for cough. The plant roots act as sedatives for children. 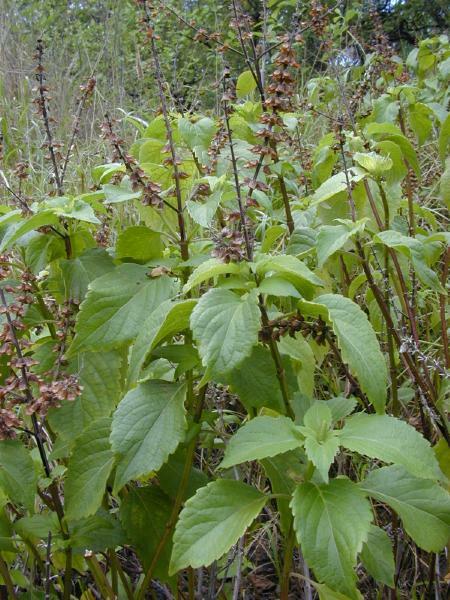 ‘Ocimum tea’ is an infused form of the herb used in treating fever and diaphoresis. The volatile oil acts as a good antimicrobial agent. 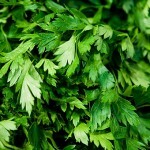 It is best to avoid this herb during pregnancy. In some cases consumption of its extract has led to intrauterine or cervical infections in pregnant women. The stem of the plant has ability to terminate pregnancy. The herbs are best stored in freezer bags for long term use. 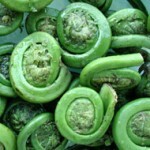 One can chop off the leaves and run them under the food processor before placing them in frozen ice cube trays. Once they turn solid vacuum sealed bags can be used in storing the herbs. Thawed herbs can be used round the year by using a drop or two in sauces and soups. There are some lesser known side effects seen in the herb. Some drugs containing this herb are seen showing activity in vitro towards C. neoformans and also works against some bacteria and dermatophytes. 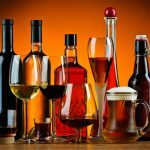 The oil has been reported to have heightened hypotensive effects. Cardiovascular side effects ranged around dose-induced bradycardia. Here are some interesting facts about this medicinal herb. 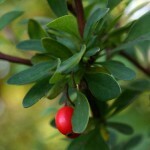 The plant bears its essential oil in the stems and leaves. They are used in numerous drugs and medicinal components. 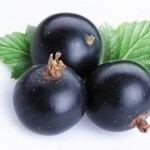 It prevents cough, wounds, convulsions, seizures and many other chronic diseases. 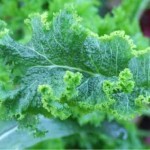 It is home grown as well as cultivated commercially. Antiseptics are produced from this herb. 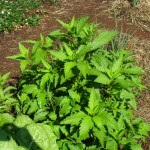 Given here are some images of the herbs.